Bernhard Gissibl is Postdoctoral Researcher at the Leibniz-Institute of European History in Mainz. His PhD dissertation explored the history of hunting and wildlife conservation in colonial Tanzania and is forthcoming with Berghahn under the title The Nature of German Imperialism. Conservation and the Politics of Wildlife in colonial East Africa. Sabine Höhler is Associate Professor of Science and Technology Studies at KTH Royal Institute of Technology in Stockholm. Her recent book on Spaceship Earth explores global concepts of environmental carrying capacity and life support between 1960 and 1990 (Pickering & Chatto 2015). Patrick Kupper is Professor of Economic and Social History at the University of Innsbruck. 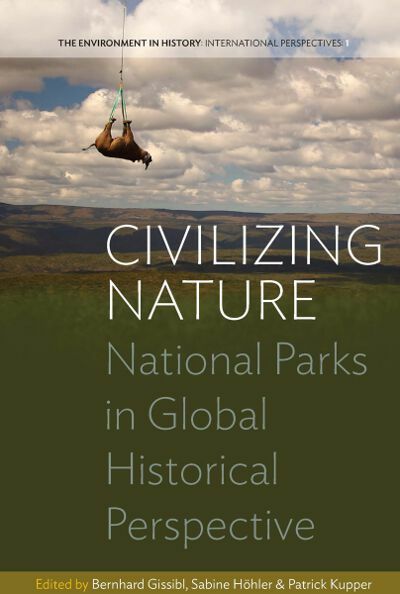 He is the author of Creating Wilderness: a transnational history of the Swiss National Park (Berghahn 2014).